Currently I have 2 basic sub levels used in a persistent level for level streaming. Orange objects are in Level 1, and white objects are in level 2. Current state on the screenshot is, persistent level is loaded, and also Level 1 & 2 are loaded as streaming levels at the same time. 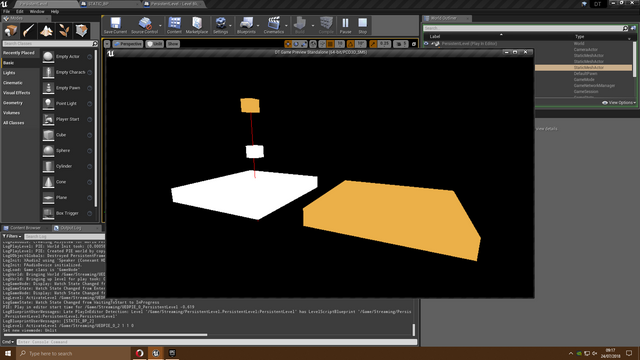 When I try to line trace from orange cube to -Z direction, it does not hit to objects in other level, even I loaded Level 2 as streaming level. Is there any fix for this problem? Isn't it possible to line trace between two different streaming levels? Unique variable for each blueprint instance ?